Boom height adjustments are easily made using the single hydraulic cylinder and vertical mast. 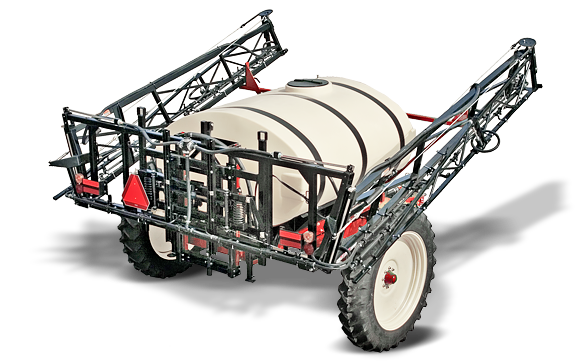 The 1000 Utility sprayer is constructed with only the best materials and is designed for many years of trouble-free service. Spray Boom Height 30" - 54"